The 2018/19 campaign has witnessed a casting of new protagonists vying to take centre stage as European football welcomes a fresh generation. Auditions have taken place throughout the season as the current crop of leading lights begin to wane, and the audience has become accustomed to the names we’ll be talking about for years to come. 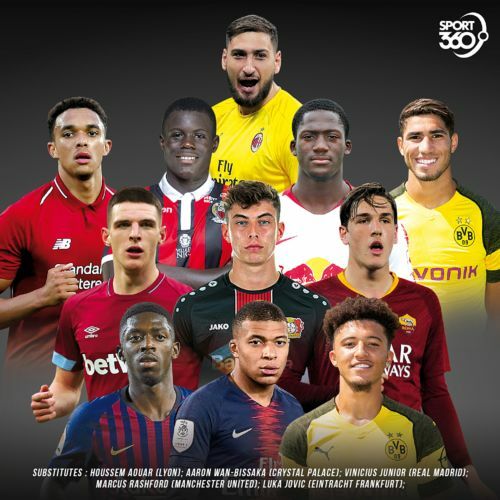 Massive contributions and absorbing performances have been displayed, but given the sheer volume of talent arising, we thought it only right to whittle down the very best by picking an XI of the best players aged 21 and under from Europe’s top-five leagues. Given the position’s restriction and its importance, there’s a real dearth of young goalkeepers breaking through right now. As such, Donnarumma heads the list. The AC Milan and Italy No1 is still only 20, but given his experience and exposure at the elite level, he’s assessed as if 10-years older. Needless mistakes have been committed this season and there are obvious areas for refinement, but only Fiorentina’s inferior stopper Alban Lafont is in his age group and playing regularly. Still, Donnarumma’s reflexes are quite astonishing and he uses his massive frame well, too. There are plenty of convincing reasons to suggest he’ll be a top goalkeeper for the present and future. The compelling influence of Alexander-Arnold for Liverpool is probably best observed through games he’s missed this season. 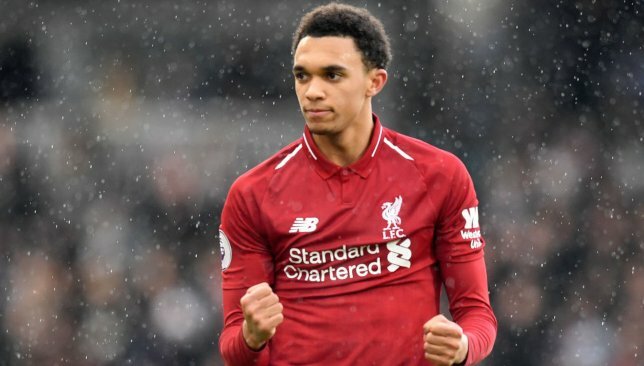 Liverpool’s struggles in 2019 coincided with their right-back’s injury issues because short of Alexander-Arnold’s charging runs, cutting cross-field passes off either foot, plus of course his precise and varied deliveries into the box, the Reds lost a critical attacking dynamic. 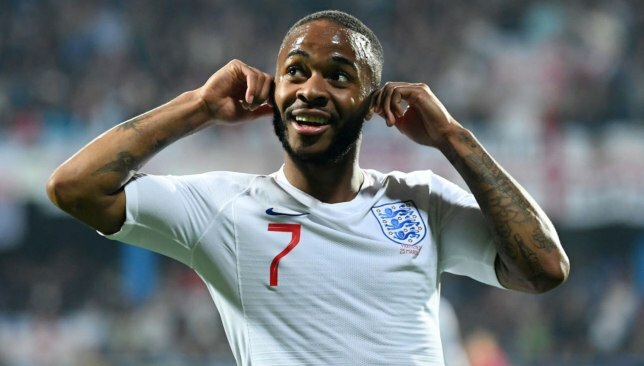 Seven assists this season quantifies his impact and there’s a legitimate case to be made that the England international is not just the best of his age group, but across all categories. Gone are the days of centre-backs just being revered for their physical attributes. 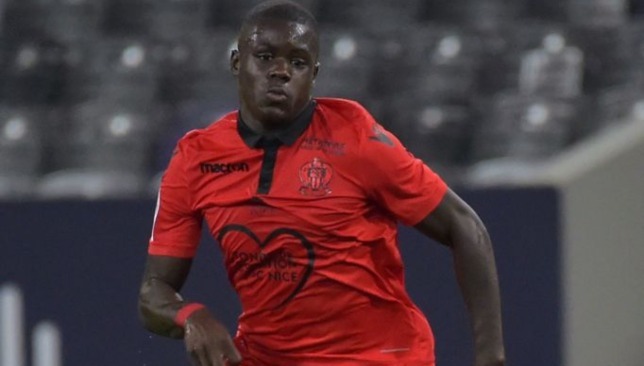 An entire package is expected from modern-day defenders and Sarr has demonstrated a bravura this season, and previously, to suggest he fits that remit. An immaculate passer, the left-footed Frenchman has been the main feature of Nice’s defence since breaking through as a teenager. He has continued his excellent development in 2018/19, teasing with his forays out of the back and releasing pinpoint passes into midfield or the channels. A cool presence of mind melded with his willingness to battle, whether it be in the air – Sarr possess a great leap – or on the ground, marks him out as a complete player. The outstanding centre-back in Ligue 1 this term, elite sides will soon circle. If you think selecting the current France squad is difficult, just wait another three or four years. The world champions’ depth of talent at centre-back is enviable because alongside Malang Sarr sits another immensely talented Frenchman. 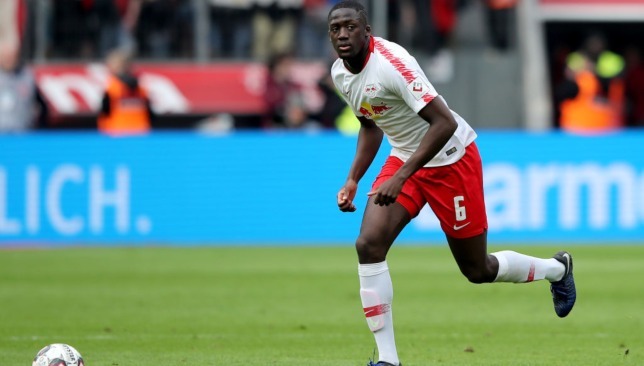 It’s been a breakout campaign for Konate, who in the absence of injured countryman and club team-mate Dayot Upamecano has excelled for Leipzig this season. In fact, the teenager’s performances have been so impressive, he’s actually arguably usurped Upamecano as the world’s best young centre-back. Perhaps Upamecano is more polished, but Konate has proved his ceiling is higher. Together with his speed, height and assured mentality, Konate is a beautifully balanced dribbler. Need evidence? Take a look at his silky smooth goal against Fortuna Dusseldorf in January. It is a real shame Hakimi will miss Borussia Dortmund’s title run in after suffering a season-ending foot injury because he has been such an integral part of their challenge. The Real Madrid loanee has excelled in 2018/19 having endured a tricky season in the Spanish capital last term. Thrown in at right-back because of Dani Carvajal’s punctured campaign, the Morocco international often struggled positionally and those doubts impaired his ability going forward. Imbued with confidence at Dortmund, Hakimi started the season in brilliant form, his energy a big feature of his new club’s buzzing philosophy. Admittedly, as the hype around him grew, lapses defensively crept in but he’s still developing and will benefit from another year at BVB. In the way strikers are conditioned to sense opportunities in the penalty box, Rice has shown he possesses the same natural recognition outside of it. He is a very sensory player in that he can smell danger, spot the most effective to disrupt play and then apply a silky touch to intercept. 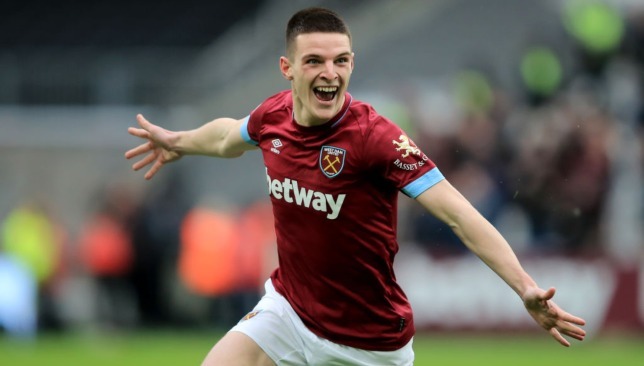 Forget the wrangle over his dual nationality, the West Ham midfielder is fast emerging as one of the premier young No6s. He’s married his physical advantages with a clean disposition across all midfield categories such as passing, duels and dribbles. Rice has flicked between centre-back and No6 in the past, but has looked far more assured in the middle this season, something which England will profit from as he is a perfect link between defence and midfield. 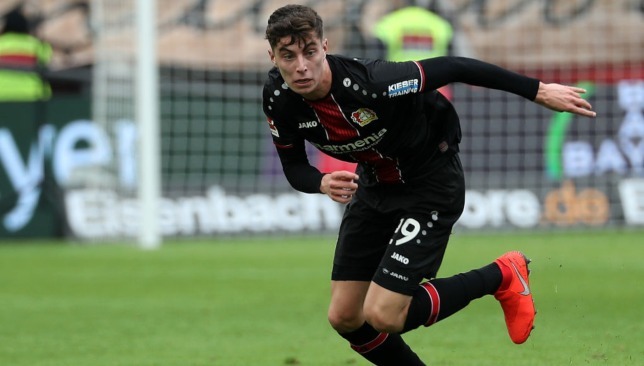 Few sights are more satisfying than Havertz tightly cushioning the ball, gently pushing it out of his feet before launching a signature lofted diagonal pass. 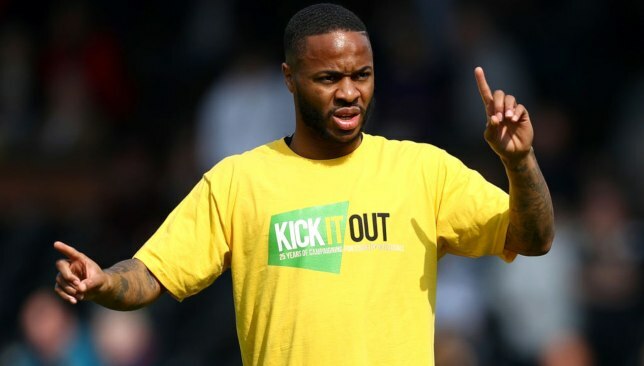 It’s a feature of his play which points to an intelligent young footballer, but there are more facets to his game which have impressed this season. At a team which harnesses the talent of gifted young players like Leon Bailey and Julian Brandt, Havertz has become a dynamic fulcrum. Contributing to 15 goals in the Bundesliga this season (12 strikes, three assists), he’s compiled a record which justifies his tag as the brightest attacking-midfield talent. The rise of Zaniolo this season is quite beautiful for the vast majority of Italian football. Except for Inter Milan. The teenager’s departure last summer and subsequent success at Roma this season is one which now stings bitterly, rivalling the exit of Philippe Coutinho to Liverpool in regrettable sales. He was sold for a paulty €4.5 million as a makeweight in the deal which sent the declining Radja Nainggolan the other way. 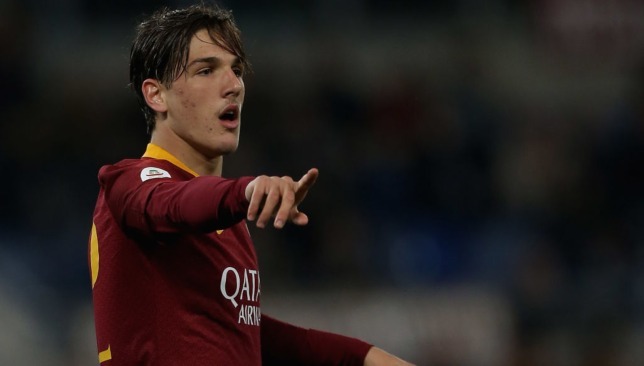 And having largely played youth team football last season, Zaniolo has progressed to represent Roma domestically, in the Champions League and now for his country. Here is an attacking-midfielder with clarity in possession, excellent positioning and insane dribbling considering his size. During a testing season for Roma, Zaniolo’s maturity and determination have stood taller than his lanky frame. He has a future even bigger. When Dembele is not in the side, Barcelona lose an edge to their attack. 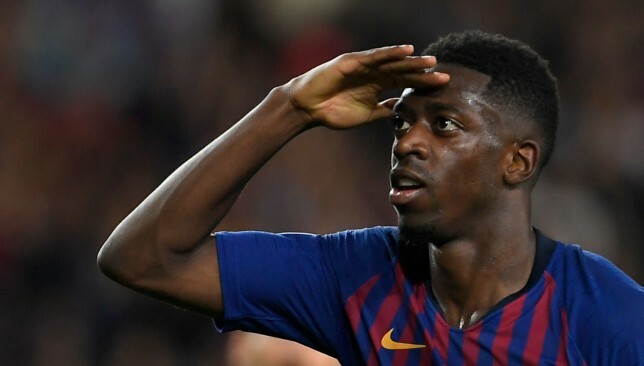 Okay, they hold the Lionel Messi ace card and of course King Luis Suarez as well, but Dembele has been transformed from joker to princely talent in 2018/19. Through goals and assists, he’s accrued 17 points for the Catalan giants in La Liga this season. 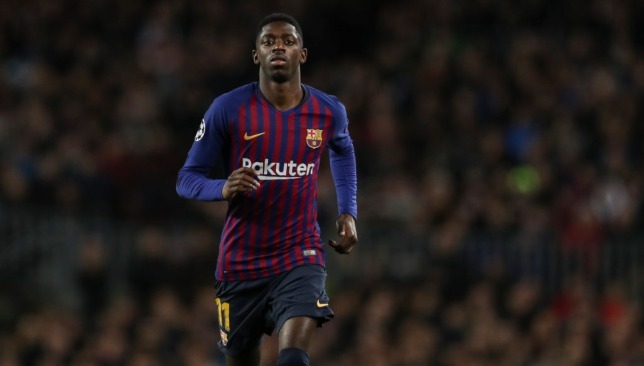 Away from the quantitative evidence, Dembele’s intangible ability to draw attention away from Messi has been absolutely crucial. A stick of dynamite on the wing, he’s arguably the best out-and-out wide man on the planet. Again, there has been the dark undertow of poor discipline away from the pitch and persistent injuries which link his first two seasons at Camp Nou. However, at least the young Frenchman is finally showing he’s worth being patient with. Noticed a trend yet? Yes, four French players are included in this XI and Mbappe is undeniably the pick of them. 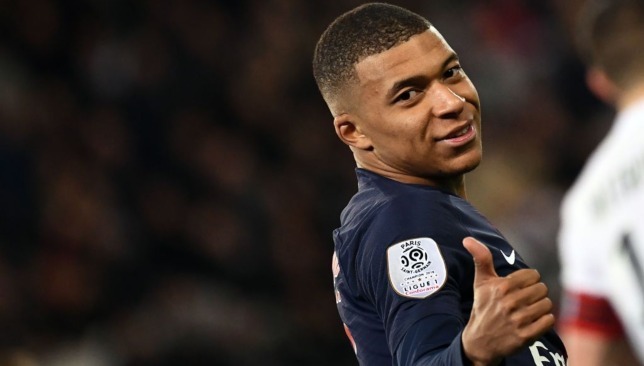 Only Messi (33) has scored more in the Golden Shoe race than Mbappe (27), and if football philistines can put to one side their denouncements of Ligue 1 being a ‘farmer’s league’, then this harvesting of goals can be truly appreciated. The 20-year-old is ascending to the throne which will one day be vacated by Messi and Cristiano Ronaldo. He’s electric quick, but what separates Mbappe is the wiring in his brain. Football is abound with fast players, but not intelligent ones. Deadly in front of goal, beautifully balanced, fast over long and short distances, great build-up play all form a packaged superstar who might just be the most valuable player in the world. Can you guess which player has created the most goals from Europe’s top-five leagues this season? Messi? No. Eden Hazard? Nope. 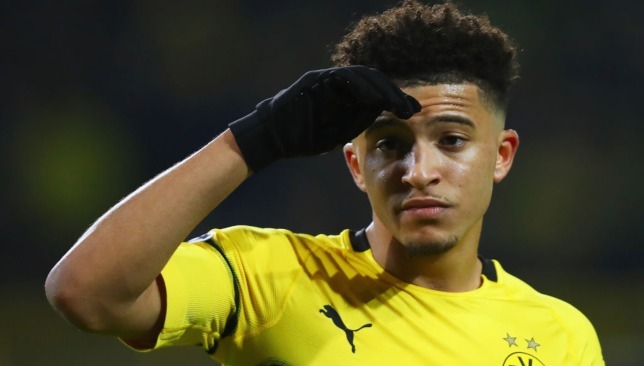 It is of course Sancho with 13 assists in the Bundesliga this term and it is no wonder elite clubs are in a frenzy over the Dortmund flyer. Sancho has the best dribble rate in the German top flight, more key passes than Toni Kroos and has contributed to 21 goals this season. His link with Marco Reus has been devastating and a key feature in Dortmund’s title charge. In one-v- one scenarios, Sancho is enchanting with his delivery once beating a man cold and calculated. He must now learn to navigate when double or even triple marked, but Sancho has demonstrated this term he’s a supremely gifted player. He’s set for a fascinating summer. Deulofeu admitted himself, he was fuming with being left on the bench for the Wembley clash but is turning his attention toward a showpiece final with Manchester City. Check out what the former Barcelona winger had to say in the video above. 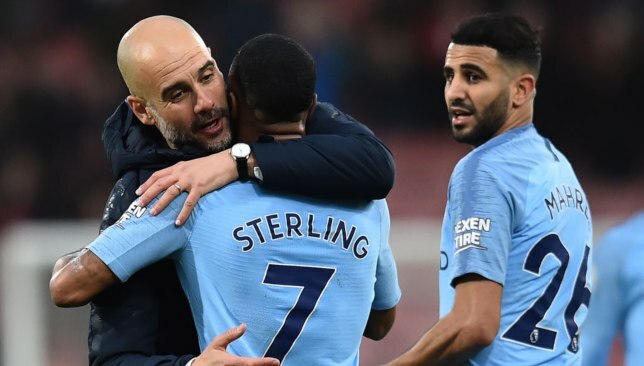 The same summer Guardiola took charge at the Etihad Stadium and one of his first acts was to contact Sterling to tell him “I will fight for you”.